Could your business use regular guidance on employment policies and day-to-day operations? 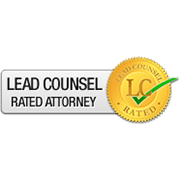 Smith Law Firm offers business clients accurate and efficient counseling. We assist companies struggling to decipher intricate state and federal laws that govern how they must treat prospective, current, and former employees. Clients benefit from our knowledge of multi-faceted employment law and the complex state and federal regulations governing it. Compliance with the Civil Rights Act, the Americans with Disabilities Act, the Family and Medical Leave Act, the Age Discrimination in Employment Act, the Equal Pay Act, the North Carolina Wage and Hour Act, and the North Carolina Retaliation in Employment Discrimination Act. Smith Law Firm’s goal is to not only provide clients with counseling that can effectively resolve the issue at hand, but to provide clients with knowledge so that they become more effective at spotting issues and properly addressing them before they develop into disputes. We aim to help clients avoid costly litigation by providing workable solutions that foster a productive and harmonious work environment and comply with state and federal laws. Do you need new or better employment policies? The attorneys at Smith Law Firm have vast experience in drafting employee handbooks and personnel policy manuals. We believe that uniform application of policies and work rules is an ideal means of reducing disputes and protecting an employer from charges or lawsuits. We conduct a thorough review of a business’ existing policies and management’s goals for the policies. With a full understanding of an employer’s business and relevant case law, we can suggest changes or draft a new policy manual or employee handbook that clearly defines the employer-employee relationship and addresses all of the issues important to the business’ day-to-day operations. Do you need help handling a discipline issue? Smith Law Firm helps management set forth policies that establish how employees will be evaluated and under what conditions they can be disciplined or discharged. We guide employers through the disciplinary process so that policies, contracts and federal, state and local laws are adhered to. We can advise whether an employer is on solid footing in a disciplinary or termination matter and help document the employer’s position. We will represent the employer if arbitration of a disciplinary action becomes necessary. Do you want to use employment contracts? Smith Law Firm will assess whether employment contracts are beneficial to a particular business. If we believe employment contracts are appropriate, we will draft and negotiate enforceable terms for employee contracts, or we can review existing contracts for language that makes the employer susceptible to litigation. Smith Law Firm has for years drafted employment-related documents that minimize the chance for dispute. By putting forth an aggressive offense in the contract’s provisions, a business can build a better defense to litigation. When disputes do arise, we handle any breach of contract actions that result, including wrongful termination and wrongful failure to pay contractual wages. Could you use some help creating non-competition agreements? Non-competition agreements, also known as “covenants not to compete” and “restrictive covenants,” restrict an employee, after leaving his or her current employer, from obtaining certain types of employment within a specified duration and geographic area. 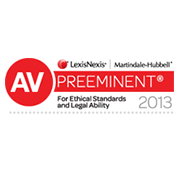 We regularly reviews non-competition agreements and assesses their enforceability. We also have experience in drafting non-competition agreements and arbitrating or litigating when disputes arise. Are you thinking to hire someone who has a non-compete with another employer? Smith Law Firm, relying on experience in drafting and challenging non-competition agreements, can review non-competition agreements for loopholes and challenge them in court, when necessary. Employers benefit by being able to hire employees they desire without having to wait for expiration of the non-compete agreement. Has an employee filed a discrimination charge against you? Smith Law Firm not only investigates and defends businesses against such claims, we help devise strategies and employment policies that can help reduce the number of employment discrimination claims. The firm defends employers accused of violating Title VII of the Civil Rights Act of 1964, the Age Discrimination in Employment Act [ADEA], Americans With Disabilities Act [ADA], Family and Medical Leave Act [FMLA], the Equal Pay Act, the North Carolina Wage and Hour Act, and the North Carolina Retaliation in Employment Discrimination Act [REDA]. Has a former employee alleged that he was wrongfully discharged? Smith Law Firm helps employers negotiate and litigate all types of wrongful termination and wrongful discharge claims. Are you having trouble with wage disputes? Smith Law Firm helps sort out wage disputes, including claims for unpaid commissions, bonuses, overtime pay, vacation, paid time off, travel time, comp time, and payroll deductions. Is your business in the midst of negotiating a union contract? Smith Law Firm represents employers during collective bargaining negotiations. We meet with employers to design proposals that meet their business objectives and assists in analyzing union contract proposals. Smith Law Firm also advises clients on the administration of collective bargaining agreements and the drafting of contract language that will help avoid grievances. Has your employees’ union filed a grievance? In the event a union grievance is filed, we have extensive experience in contract interpretation and discipline arbitrations, having regularly appeared in labor arbitrations on behalf of employers.